The breathtaking buildings we see today that reach for the clouds, truly demonstrate the unrelenting need we have to push our creations further. The great minds behind the following six buildings don’t accept limitations; they aim higher than those before them. In doing so, they give us incredible structures to marvel at and with which to witness the world from a completely different perspective. 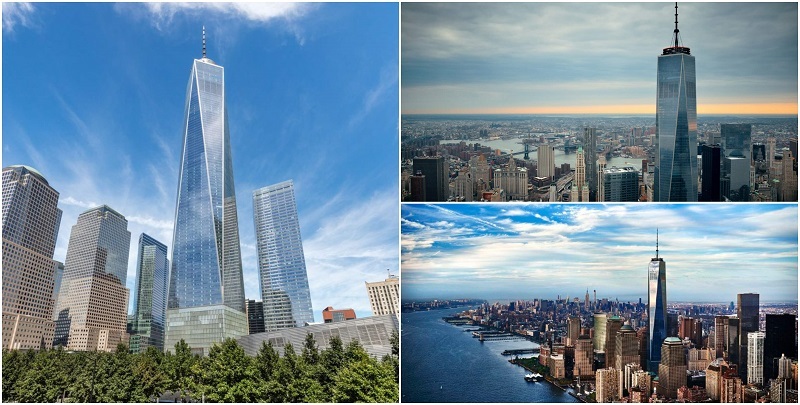 This list contains the six tallest buildings in the world, from the USA’s One World Trade Center (Freedom Tower) to the record-breaking Burj Khalifa. There a many buildings scattered over the world that make us gaze up in awe at their beautiful architecture, unique colours, frightening sculptures or strangeness, yet none are as tall as the ones included here. These buildings would tire King Kong out before he ever reached the top. Along with height, they also have other unique qualities that make them marvels of modern architecture. A visit to any of these buildings would show you the vast capabilities of humans and inspire you to never stop until your desired height is reached. 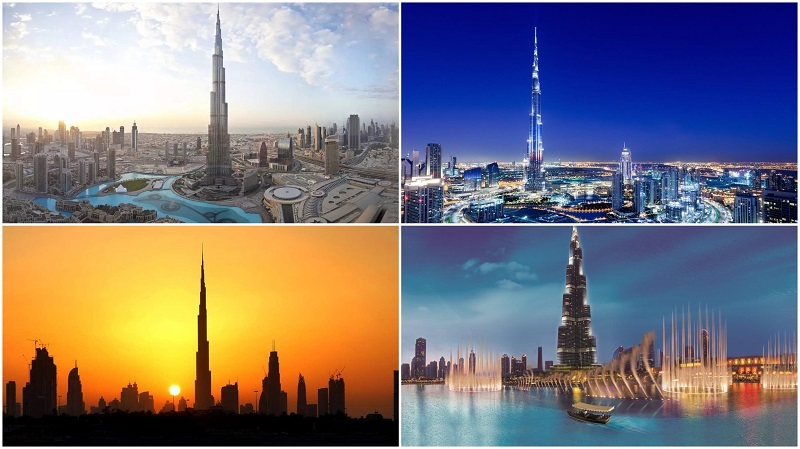 Read on to find out more about the six tallest buildings in the world. 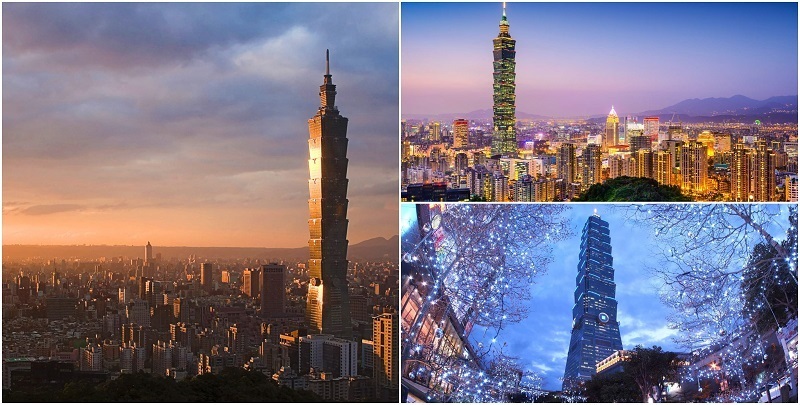 Clocking in at number six on this list is Taipei 101, located in Xinyi District, Taipei, Taiwan. It is the world’s tallest and largest environmentally friendly building, after receiving the highest honour in the Leadership in Energy and Environmental Design rating system. When it was first built, back in 2004, it broke the record for the world’s tallest building, standing at 101 stories above ground, with an additional 5 stories underground. What exactly could a building use 106 stories for? Well, Taipei 101 houses numerous corporate offices including stock exchanges and banks, two observation decks (one outside and one inside) and an entire level for amenities. There’s even a multilevel shopping mall on the lower floors that contains more shops than the building does floors. If you feel like wining and dining high in the sky, Taipei 101 has a restaurant all the way up on the 85th floor. This building isn’t just good for photos; there’s plenty to see and do inside. Taipei 101 is 508 metres (1,667 feet) from the ground to its spire. The building’s elevator moves at a speed of over 60 kilometres per hour. Natural disasters aren’t a worry. The building has been designed to withstand typhoon winds and earthquakes. Taipei 101’s blue-green glass walls are designed to cut down heat by fifty percent and offer UV protection. The buildings 101 floors are symbolic of the new century that arrived when the building was built. Each night the tower displays one of seven colours in the spectrum. Red on Monday, orange on Tuesday, yellow on Wednesday etc. Not everyone can reach the top of Taipei 101. The 91st floor is the highest level open to the public. The 101st floor is completely occupied by a VIP club called Summit 101 that is completely off the public sector. In fact, the existence of the club has never actually been proven. Taipei 101 took six years to construct. The “Taipei 101 Run Up” is an athletic event where contestants attempt to be the first person to run up the 2046 steps from floor 1 to floor 91. The fastest time was 10 minutes, 29 seconds, by Australian Paul Crake. Taipei 101 has held New Year’s Eve fireworks every year since it first opened. The One World Trade Center, colloquially known as the Freedom Tower, is located in Lower Manhattan, New York City, USA. It was designed to replace and commemorate the original World Trade Center that was destroyed during the 9/11 terrorist attacks. At the symbolic height of 1,776 feet (the year of America’s independence) or just over 541 metres, the One World Trade Center is the tallest skyscraper in the Western Hemisphere. One of the building’s functions is to serve as a symbol of America’s unity against the terrorism that devastated the country in September, 2001. For this reason, the One Wold Trade Center has additional protection in the form of a reinforced concrete base and 91centimetre (3 foot) thick reinforced concrete walls that weren’t present in the Twin Towers. Although construction on the building has finished, it won’t be open to the public until sometime during 2014. The One World Trade Center contains 104 floors with an additional 5 basement floors. Plans of the building were released to the public in 2011, causing an uproar and fears that they could be used in future terrorist attacks. About 8 years and US$3.9 billion went into constructing the One World Trade Center. The One World Trade Center has been featured prominently in popular culture including Hollywood films like The Avengers, Men in Black 3, The Dark Knight Rises, and The Mortal Instruments: City of Bones. A bronze statue, called America’s Response Monument is positioned at the front of the building. It is angled specifically so that the statue of a soldier sitting atop a horse is looking back at the building as if he is watching over it. A lot of the building’s interior is made from recycled materials. The building has 86 floors that can be used, of which 78 will be utilized as office spaces. There is a three-story observation deck located on floors 100-102, which provides some of the best views of New York City. The One World Trade Center is lit up at night with the colours of the American flag: red, white and blue. It is located close to the 9/11 memorial, where enormous waterfalls have been created in the place of the Twin Towers. The Abraj Al-Bait is a cluster of seven towers located in Mecca, Saudi Arabia. The tallest tower, the Hotel Tower, stands at 601 metres (1,972 feet) and contains 120 floors. All seven towers completely dwarf the rest of the city, making the Abraj Al-Bait very difficult to miss when surveying the city skyline. When it opened in 2012, the Abraj Al-Bait became the tallest structure in Saudi Arabia. This building’s most prominent feature is its enormous four-faced clock that looks over the city from the highest point and can be seen even if you’re standing 25 kilometres (16 miles) away. On the inside, the Abraj Al-Bait accommodates all walks of life with a large prayer room, five-star hotel, a 20-storey shopping mall, an Islamic Museum, a Lunar Observation Center, and apartments for residents to live. Out of all the buildings on this list, this is the one that offers the most to see and do. Visitors truly experience something special when they witness the amount of culture that exists both inside and outside. The Abraj Al-Bait cost around US$15 billion to build. At over 400 metres above ground level, the tower’s clock is the highest in the world. The tower’s clock is illuminated by 2 million LED lights. 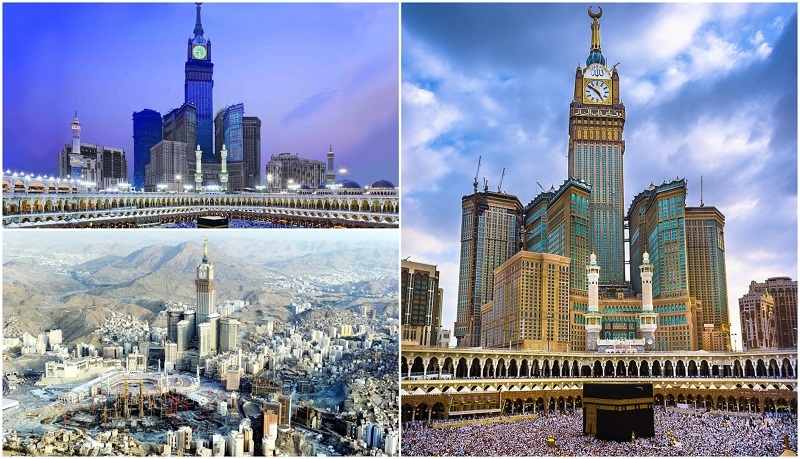 During construction, the Abraj Al-Bait experienced two different fire incidents. The first fire took 400 firefighters and 8 hours to extinguish. There was controversy during the construction of the Abraj Al-Bait, because it was built on the location of the historic Ajyad Fortress, which was demolished to make space for the tower. The Hotel Tower was originally planned to be 734 metres tall. There are loudspeakers on the tower that allow prayer calls to be emitted 7 kilometres away, and a 16-beam light that illuminates 10 kilometres and indicates prayer timings. It is also known as the Mecca Royal Hotel Clock Tower. The Shanghai Tower stands at 632 metres (2,073 feet) high, comprising of 121 stories. The building is currently China’s tallest structure of any kind after surpassing the Canton Tower in Guangzhou. 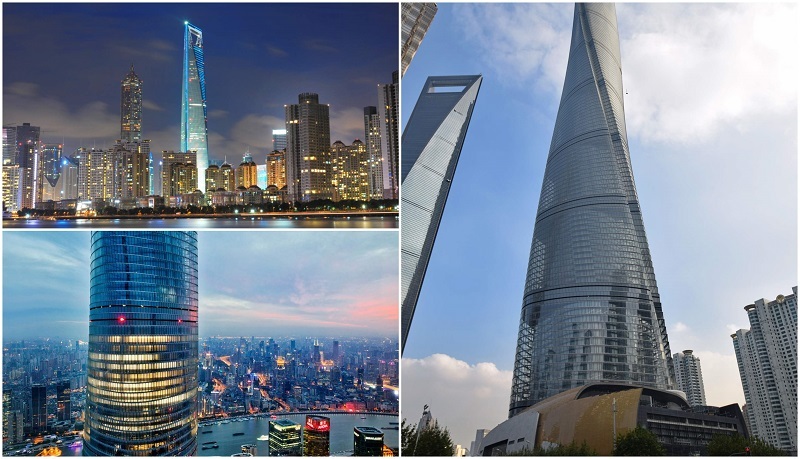 Like Taipei 101, the Shanghai Tower’s designers have implemented methods to make it more environmentally sustainable and is hoping to win awards and certifications from renowned Green Building Councils upon completion. The tower has been designed in the form of nine cylindrical buildings stacked atop each other. There is space for about 16,000 people, and each of the nine areas will contain an atrium with gardens, cafes, restaurants and retail spaces. Thanks to the glass facade, guests will be able to enjoy 360 degree views of the city in almost all areas of the tower. The Shanghai Tower is one of three skyscrapers grouped close together. The other two are the Jin Mao Tower and the Shanghai World Financial Center. The Shanghai Tower is the last to be built. It cost US$2.2 billion to build the Shanghai Tower. Records will be broken once the tower’s elevators are installed. They are said to travel at a speed of 64.8 km/hr, becoming the fastest elevators in the world. The Shanghai Tower will also hold the world’s furthest-travelling single elevator, at 578.5 metres (1,898 feet). The 320-room Jin Jang Hotel, situated on the 84th to the 110th floor, will also break the record for world’s tallest hotel once it is completed. It will take almost six years to build the Shanghai Tower, and almost eleven years to build the three towers that make up the Lujiazui trio. Land area is limited in the small country of Japan and when you can’t build out you must build up, so it’s not surprising that Japan currently has the second tallest building in the world. Rising high above the densely populated skyline of Tokyo, Japan, the Tokyo Sky Tree truly embodies its name with its incredible height of 634 metres (2,080 feet). Unlike the other towers on this list, the Sky Tree is predominantly used for television and radio broadcasting, because the previous station became too short to send out clear signals over all the taller high-rises around it. The Tokyo Sky Tree is also the cheapest building on this list, only costing around US$806 million. When constructing this building, the intention was to combine futuristic design and Japan’s traditional beauty, and to stimulate the revitalization of the city. The Tokyo Sky Tree took just under 4 years to complete. The building has a central shaft made out of reinforced steel that improves its resistance against earthquakes. The main colour of the building is officially called “Skytree White”. At night, the tower is illuminated in a sky blue or purple colour. This illumination is powered by LED lights. About 1.6 million people visited the Sky Tree in its first week. People waited in line for an entire week to receive tickets into the building on opening day. 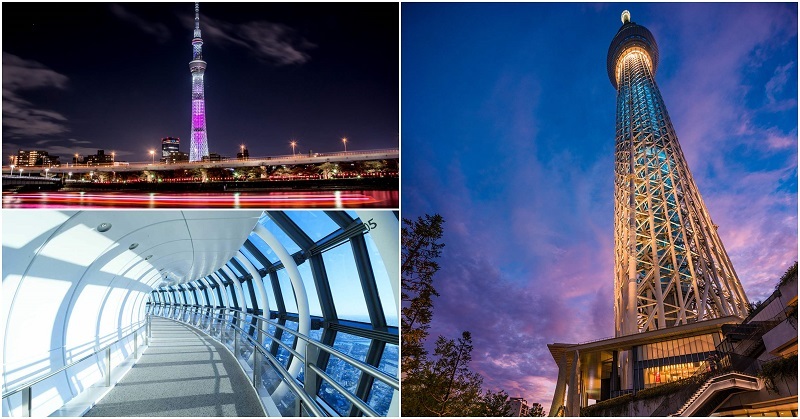 The Tokyo Sky Tree has panoramic views of the city and nearby river. There are two observatories and the upper observatory has a section of glass flooring that allows visitors to see directly down to the streets below as if they’re standing on air. The Burj Khalifa, located in Dubai, is the undoubted champion of the world’s tallest buildings. Standing at 829.8 metres (2,722 feet), it is almost 200 metres taller than the next tallest building in the world! Construction began back in 2004 and surprisingly took just over 5 years to complete. When the building was finished in October 2009, it broke a total of fifteen world records, including tallest existing structure, highest occupied floor, highest nightclub and building with most floors. On the outside, the Burj Khalifa employs a lot of designs from Islamic architecture and culture, which have been given a more modern appeal. With 163 floors, the building has plenty of space for residential housing, corporate suites, the Armani Hotel, and an observatory. The Burj Khalifa’s outdoor observation deck, At the Top, is located on the 124th floor, making it the third-highest observation deck in the world. The Burj Khalifa brings a little green and blue to an otherwise steel city. The building is surrounded by a 27-acre park, which contains six water features. The Dubai Fountain is directly outside the building. It cost US$217 million to construct and shoots water 150 metres (490 feet) into the air. The building’s 24, 348 windows are cleaned by workers and machines. The top of the spire is only cleaned by specialists who hang down from ropes. With everything going to plan and working perfectly, it takes 36 workers three to four months to clean the entire exterior. Talk about a tedious job. Since 2010, the Burj Khalifa has won a total of 31 awards including Best Project of the Year at the Middle East Architect Awards in 2010. The building has been used for base jumping, both authorized and unauthorized. Alain “Spiderman” Robert tackled the Burj Khalifa in 2011, climbing to the top of the spire in about six hours. Even with greatness comes tragedy. Around 17 months after the building opened, a man who worked in the building committed suicide by jumping out of the 147th floor. 39 floors later he landed on the deck of the 108th floor. In March, 2006, about 2,500 of the workers building the Burj Khalifa rioted because of low wages. They destroyed over £500,000 worth of property. The Burj Khalifa has appeared numerous times in popular culture. In Mission: Impossible – Ghost Protocol, Tom Cruise’s character scales the side of the building. It has also appeared in video games, music videos and on television. A fireworks display is held every New Year’s Eve at the building. This article is very informative! I appreciate that the author included a lot of fun facts and trivia about each structure. I have visited Taipei 101 and Tokyo Sky Tree and they are both amazing. I hope to be able to see the others soon!